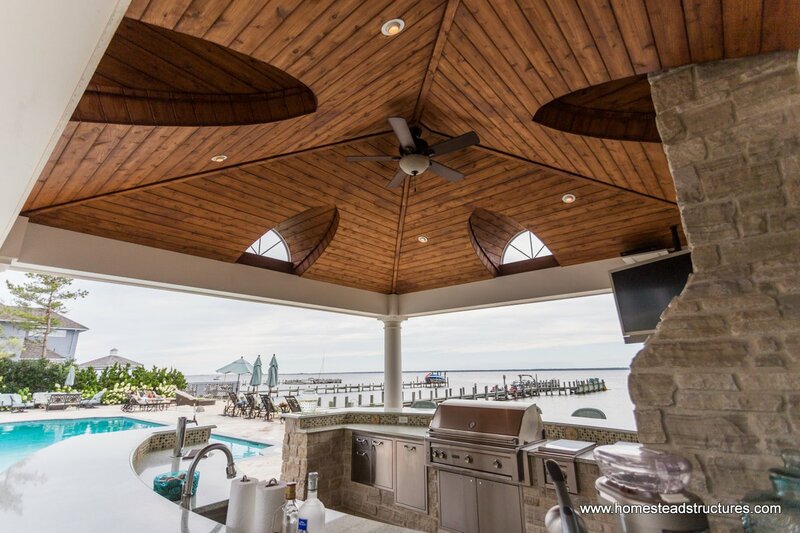 Dreaming of the perfect pavilion for your backyard? 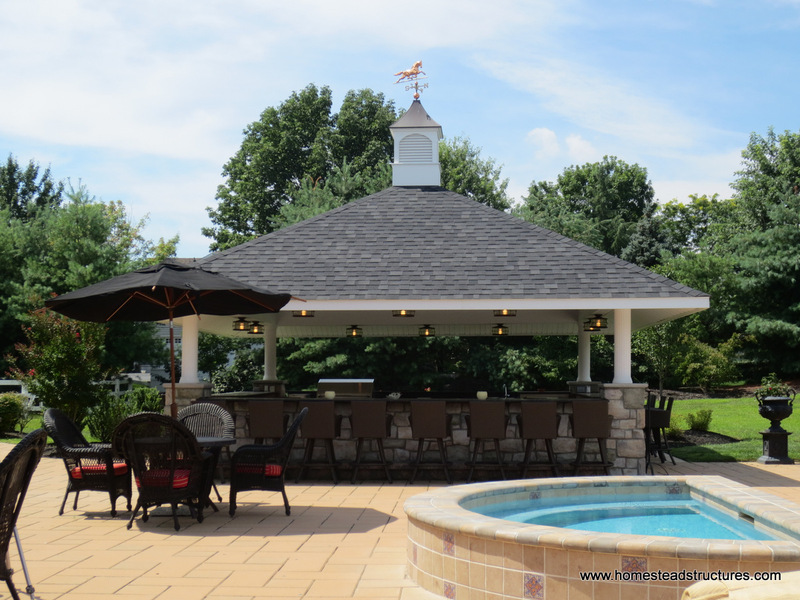 Here, at Homestead Structures, our Vintage pavilions are a favorite, since they provide the perfect area to entertain beside the pool. 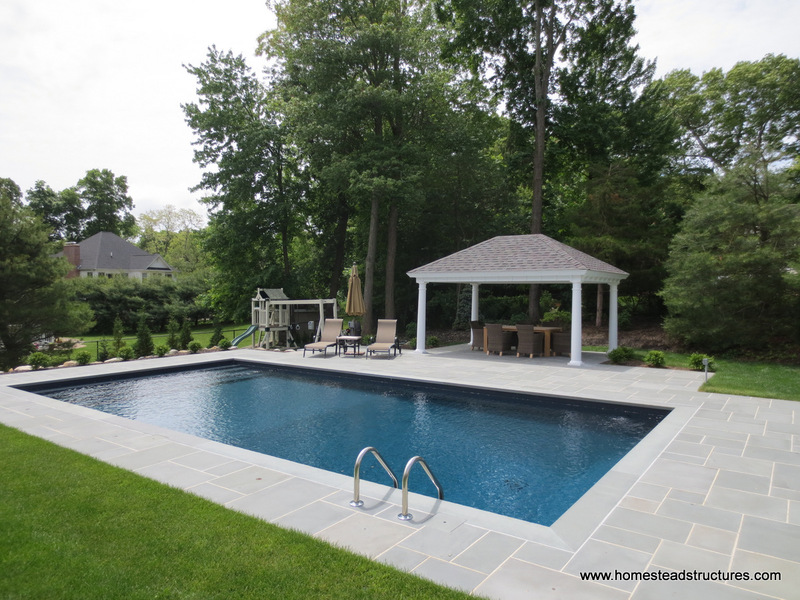 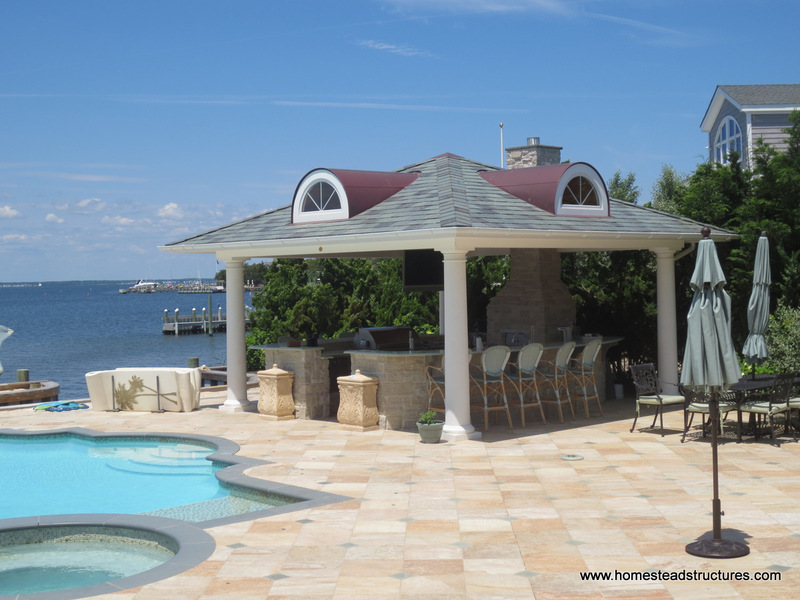 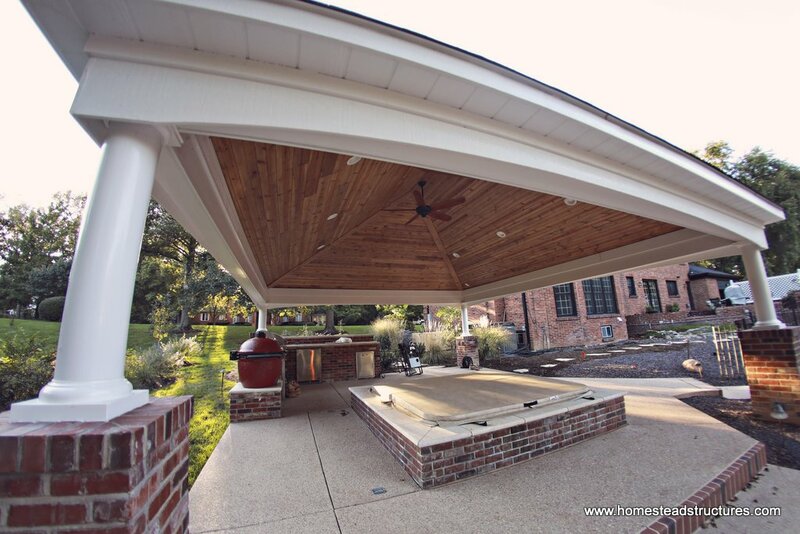 One of these pavilions can take your backyard pool from classic to timeless. 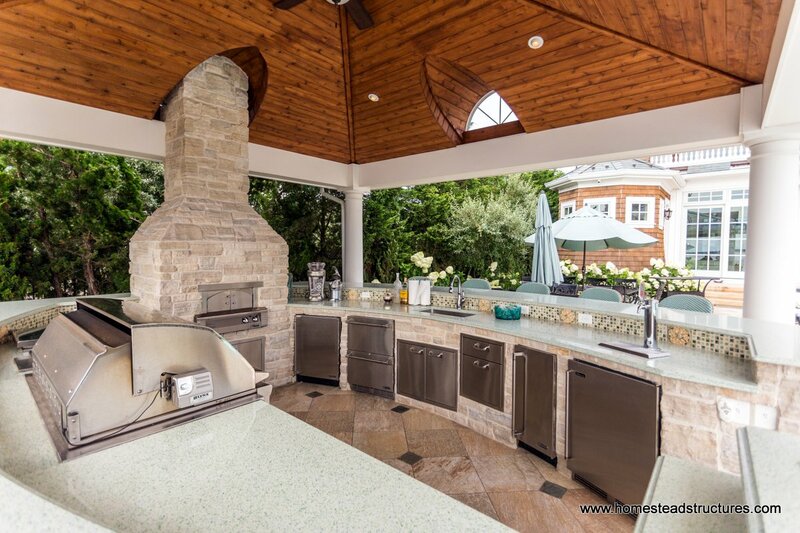 With custom options that range from the basic electrical package to a bar counter with a built in pizza oven and drink dispenser, create the oasis you've been missing with this Homestead approved favorite.